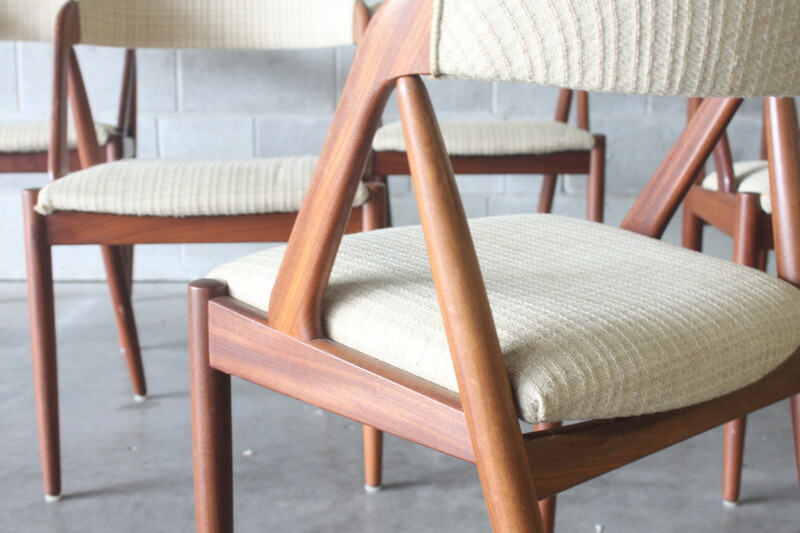 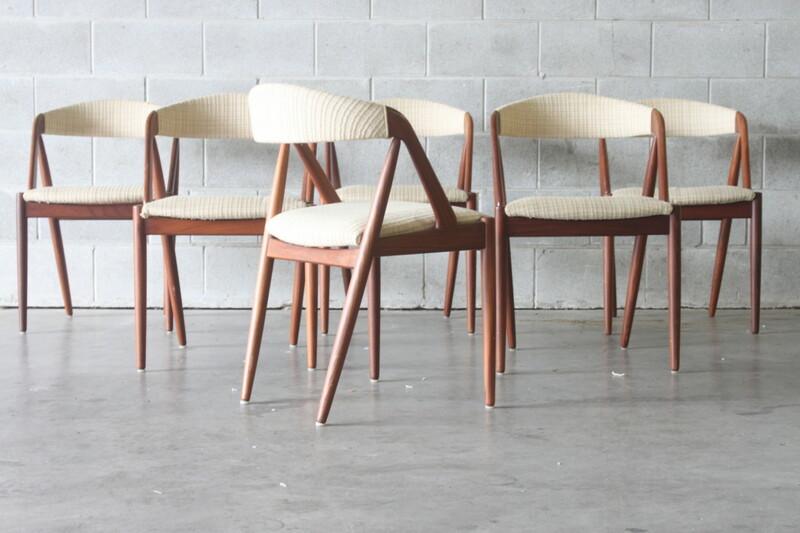 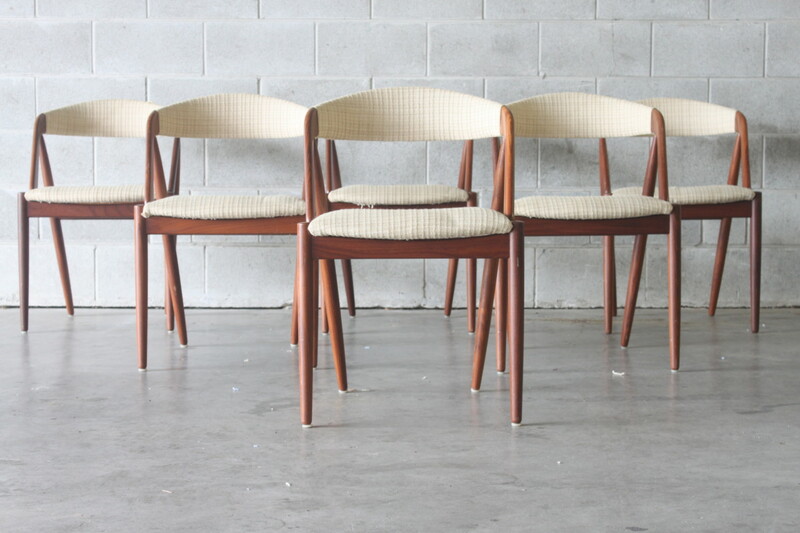 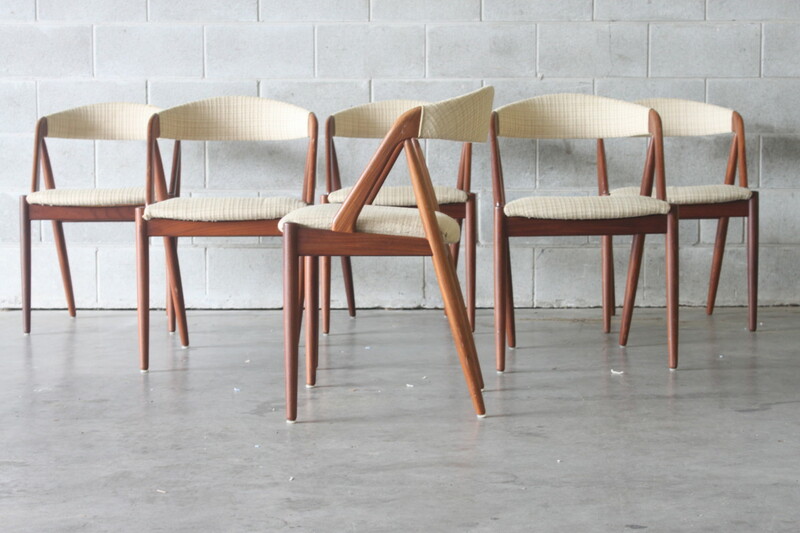 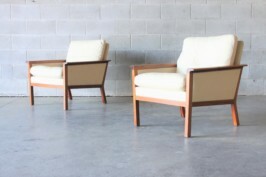 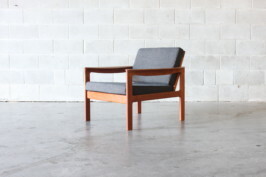 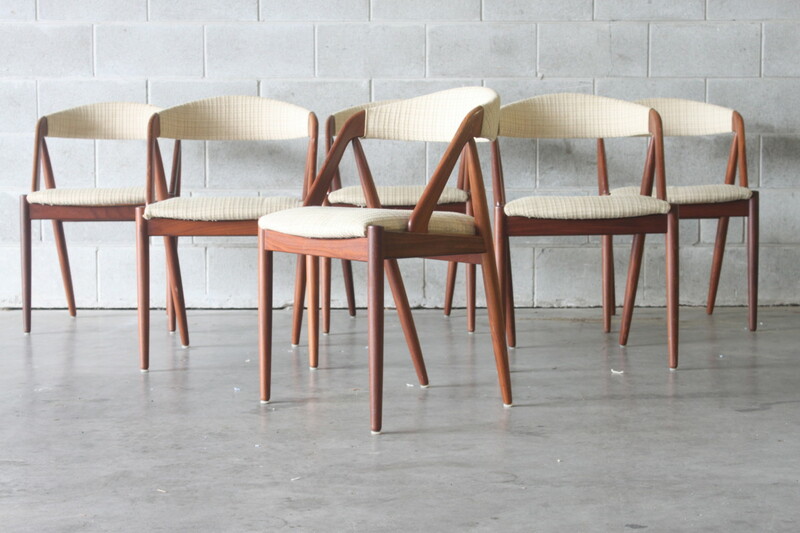 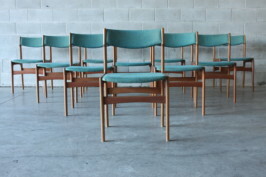 Solid teak dining chairs by Kai Kristiansen these are model #31 and are covered in original wool. 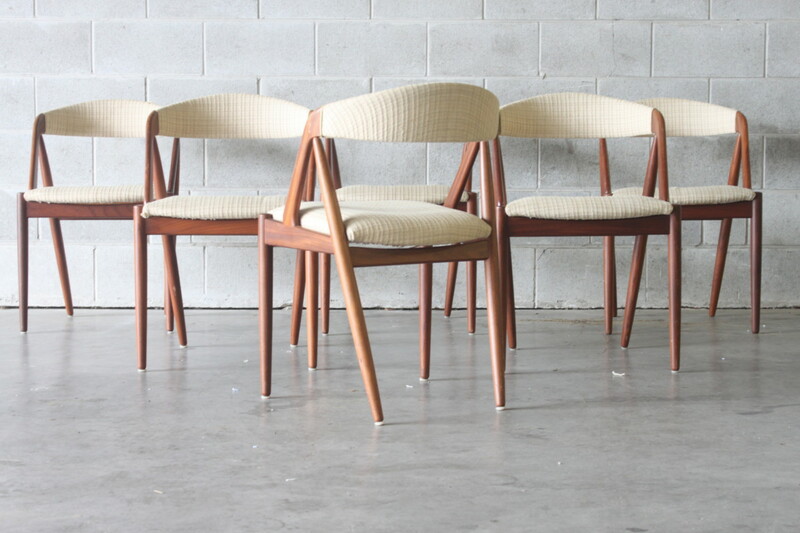 They are an incredibly solid dining chair with long cigar legs and nice curved back rest for extra comfort. 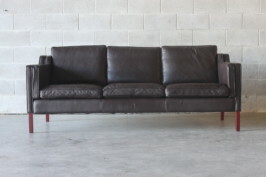 There is a small amount of wear to the covers, frames are clean and tight.